Exodus verbs and modern missions. You are at:Home»Missiology»Exodus verbs and modern missions. Due to the great importance of the Exodus event in the entire Scriptures, with the original happening “out of Egypt”, a second exodus “out from exile” in the prophetic books as well as the “exodus” of people dead “out of the tyranny of sin” into the land of the living led by the Liberator Jesus, this brief paper examines some of the verbs related to this event as well as some practical applications also drawn from I Peter. Another scholar of Old Testament theology ties the Exodus event to Israel’s history and shows that it is “determinative” for their history. Rolf Rendtorff states: “This act of God, the leading of Israel out of Egypt–from Israel’s point of view, the march out of Egypt, the Exodus, is the determinative event in Israel’s history for all time to come.” I think it would be prudent to extend Rendtorff’s statement to say as well that the Exodus is a determinative event in the history of the people of God newly constituted–i.e. the church of all time. What follows is a number of excerpts from Walter Brueggemann’s Old Testament theology as he examines the verbs that surround the first Exodus. Yahweh asserts that “He will” and the text shows “how he did”. I am the Lord, and I will free you from the burdens of the Egyptians and deliver you from slavery to them. Note: It is Yahweh who brings the people out, that is to say, he causes it to happen and this is reflected in the type of verb used in the above passage. Three times the words “out” are used. There is nothing about remaining in this passage. Note: The direction is always the same, namely “out” and “to”. The one who causes Israel to move in this direction is Yahweh and he clearly identifies from where He is moving His people. Hebrew: (nÄâˆ™á¹£ÇŽl): deliver, rescue, save. Note: Israel is rescued by the force of Yahweh’s mighty power “from” the Egyptians. Derived from this verb are nouns containing the sense of Savior and salvation. Hebrew: (gÄâˆ™Ê¾ÇŽl): redeem, avenge, revenge, ransom, do the part of a kinsman. Note: This verb is used in the context of family honor. In some cases family property has to be kept (Lev25:25fT. ), or the family honor needs to be guarded (Deut 19:6, 12). In this verse it is the “father of the family” who acts decisively to rescue his children now in slavery and so maintains the family honor. Note: A generous benefactor pays a price to achieve a transfer of ownership, more often than not for someone who is in a situation of hardship, such as slavery. After this redemption price is paid, the benefactor has all rights of ownership on the one who has been freed and thankfulness expressed in exclusive loyalty to the benefactor is an unwritten expectation. The above verse details Yahweh’s kindness and the reason why He can and does demand exclusive loyalty of his subjects. 1. Helplessness. Israel stands for anyone who is unable to save themselves in their situation. 2. Grace. Yahweh graciously reaches out to this powerless people. 3. Loving choice. Associating with these slaves shows the extent of his loving choice. 4. Elevation of status. He changes their identity from that of slaves to children and so elevates their honor and His for doing so. 5. Exclusive loyalty. This change of identity which has come by a change of ownership demands exclusive loyalty. 6. Exclusive direction. Since Yahweh has gone on this great rescue mission at great cost, he will not entertain the idea of his newly freed children of returning to their old owner. A. Called out of…and into In this case it is from the domain of darkness into His marvelous light (c.f. Colossians 1:13) and into “his eternal glory” (I Peter 5:10). B. New identity. They are changed from non-persons to a people belonging to God and given new titles which constitute a new existence or a new identity. A new founding father and a new master are implied and thus they are described as a “holy nation” or one that is set apart, just as the one who has called them (I Peter 1:15). C. A new vocation. Just as Israel was to be a light to the nations and would sing Yahweh’s praises for His exploits (Ps. 9:14; 79:13), this people of God newly constituted are to “proclaim his excellencies,” as well as being called to suffer as Jesus did (I Peter 2:21) as well as serve as conduits of blessings (I Peter 3:9). D. A noble people. In words which reflect Exodus 19:6 this noble “priesthood” people are to act as the representatives of God to the nations and who bring the needs of the nations to God. The French say, ‘noblesse oblige.’ In a word, a noble status entails both privilege and responsibility. Both Israel and the people of God in Christ have a noble calling. This elevated status is due to their deliverance from a tyrannical master–known as ‘Egypt’ or Satan–to the rulership of a kind Master. Singing the praises of this new Master/Benefactor/Savior becomes their second nature and this echoes in the milieu in which they are found, as they are described as shining stars in the middle of a “crooked and depraved generation” (Php. 2:15). At the same time this new Master demands exclusive loyalty of his nobility. Finally the study of verbs associated with the first Exodus and which are reflected in the second and third exodus’ suggest that missiological ventures which ignore their unilateral direction and suggests that for those rescued by the new exodus in Jesus can somehow remain with their loyalties under the domain of the “land of Egypt” invariably will cause divided loyalties to the Benefactor and Savior. Stephen G. Dempster, “Exodus and Biblical Theology: On Moving Into the Neighborhood With a New Name,” Southern Baptist Journal of Theology Vol.12, no. 3 (Fall 2008), p. 6. (trans. David E. Orton; Leiden: Deo Publishing, 2006), p. 47. Walter Brueggemann. 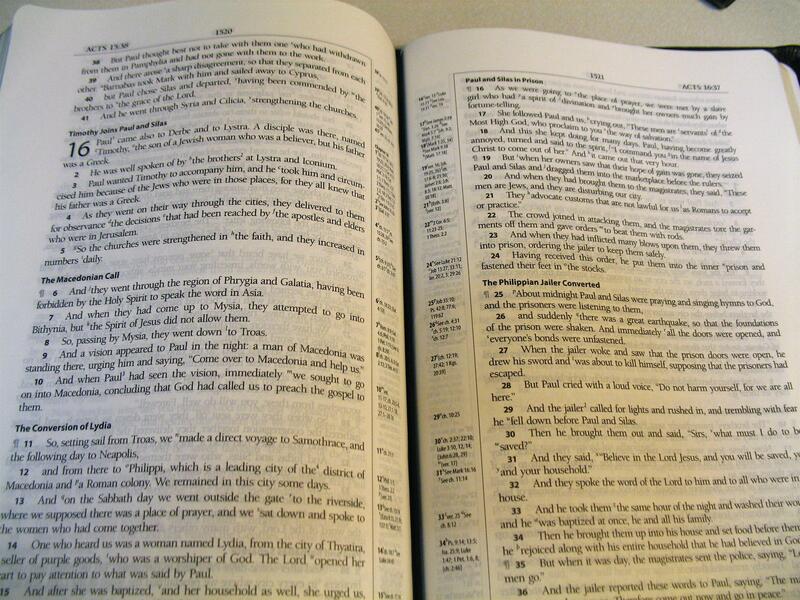 Theology of the Old Testament: Testimony, Dispute, Advocacy (Minneapolis: Fortress, 2005), pp. 173-76.